This spinning basket is equipped with sign holders for enhancing product noticeability. The retail fixture includes two baskets for holding various types of merchandise. This spinning basket has a black powder-coat finish for durability. The merchandise features 18" diameter baskets that measure 8" deep. 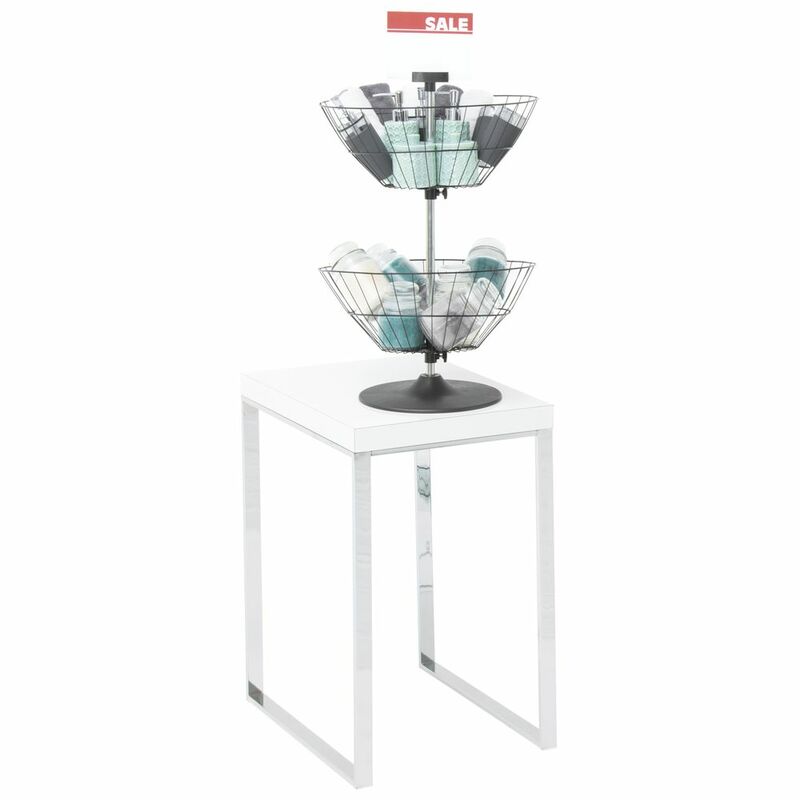 This spinning basket is perfect for counter displays.